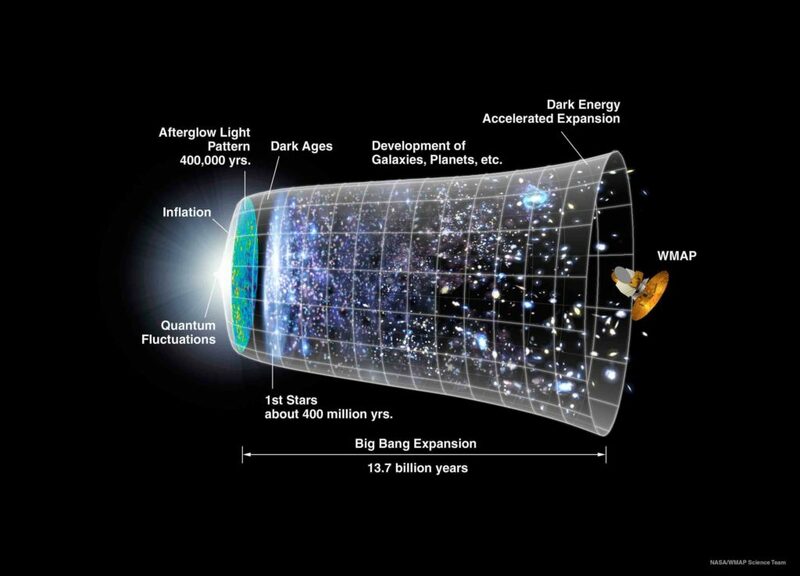 Most of us actually believe that the age of the Universe is 13.7 billion years. There is a basic flaw in assuming it to be so. Only the initiated minds can find the flaw. If it proves to be a little tricky, let me help you discover. The flaw concerns the very definition of how we understand the age of the universe. When we say that the age of the Universe is 13.7 billion years we actually mean that the light has taken 13.7 billion years in reaching us from the outermost part or periphery of the universe. What about the part of universe beyond the so called ‘outermost universe’, from where the light has not yet reached us? Some early astronomers including Plato believed that the earth was at the centre of the universe. We now know that this is untrue, but why did this view hold ground for a long time? It is because of the principle that we now know as the ‘cosmological principle’. It states that ‘The universe is homogeneous and isotropic in all directions on a very large scale’. This means that the Universe is same in all directions and there is no way of differentiating a view in one direction from another view in a different direction. Therefore, when we view the universe from our vantage point here on earth we find that the observable universe is approximately 14 billion years old and its size is approximately 14 billion light years in all directions. This implies that the universe is about 14 billion light years in radius and we are situated at the centre of a sphere of the same radius. The condition is such that one is forced to believe that the earth occupies a distinct position at the centre of the universe! Would you actually believe that we might be at the centre of the Universe? This sounds incredible! The Universe is infinitely larger than the part that we actually observe. There is so much more Universe in all directions. An observer, 14 billion light years away i.e. on the edge of our observable universe, would again observe a Universe that is 14 billion light years in radius. Therefore, what we see is just a small piece, of an infinite Universe, which is 14 billion lights years in radius.